After a day on the highway we decided to treat ourself. The taste trail was the best way to relax and get back to vacation mode! 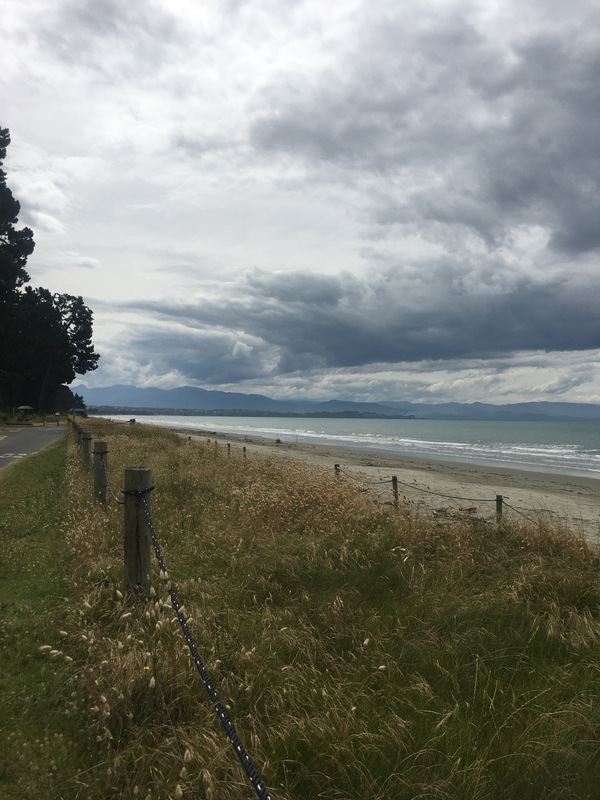 We booked two nights at our holiday camp in Nelson and spent a day riding without luggage. 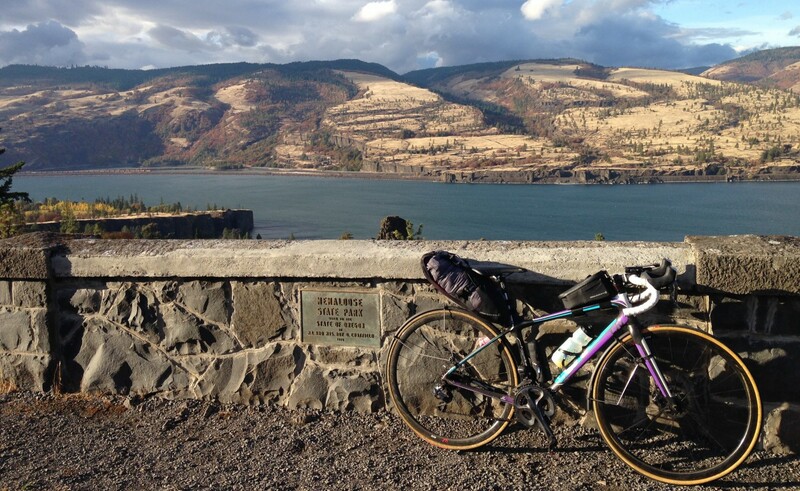 The Taste trail has negligeable elevation gain and is mainly on bike paths. The riding surface is a mix of pavement, gravel, dirt and wooden boardwalk. It was refreshing to ride through vineyards instead of just sheep and cow fields. The wine tasting was also very refreshing 🙂 Just in the middle of our day we stumbled upon a great vineyard offering lunch in a very nice setting, the Seifried estate. 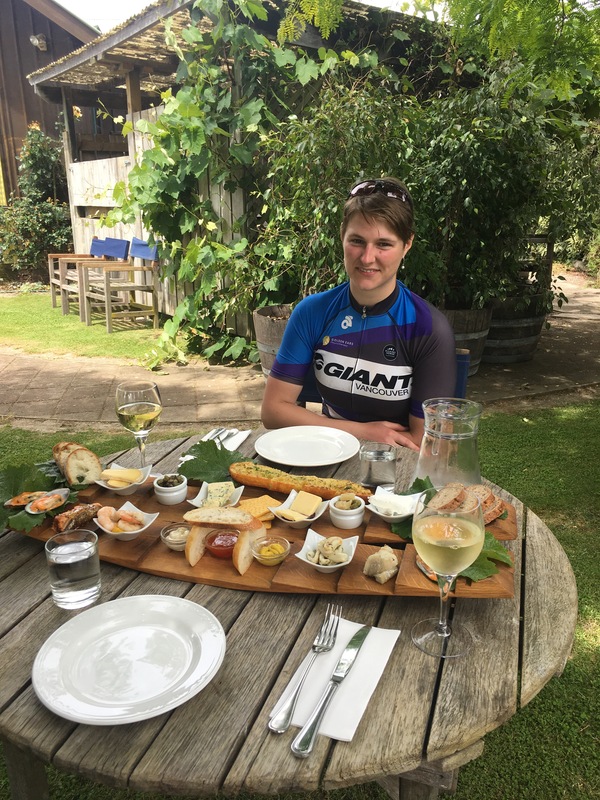 We took our time tasting local cheese and seafood, as well as very good wine. 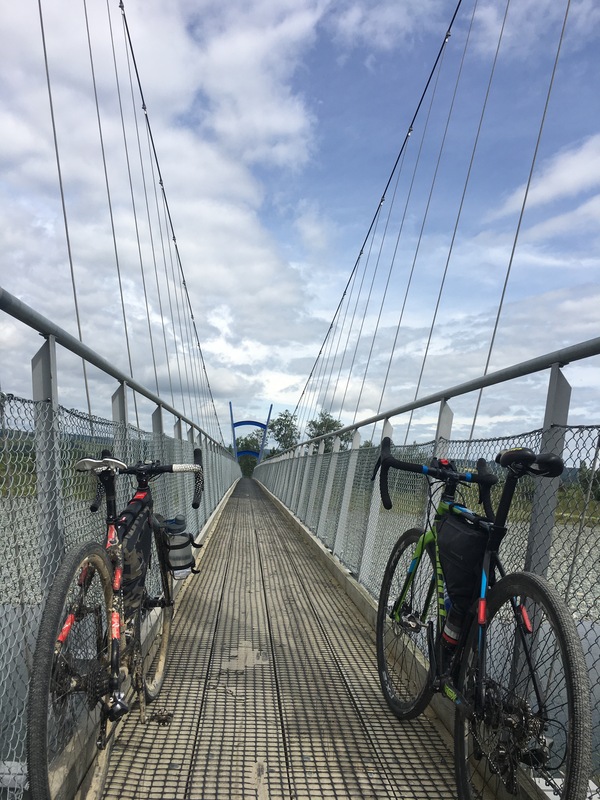 The road to our next trail is too hilly for my one handed cycling partner, we decided to take the bus and get to Greymouth a couple of days earlier. This safer way gives us time to ride the West coast wilderness trail before we get on the train to Christchurch. ← Give me a break or a shoulder! Oh my goodness, that feast looks amazing!